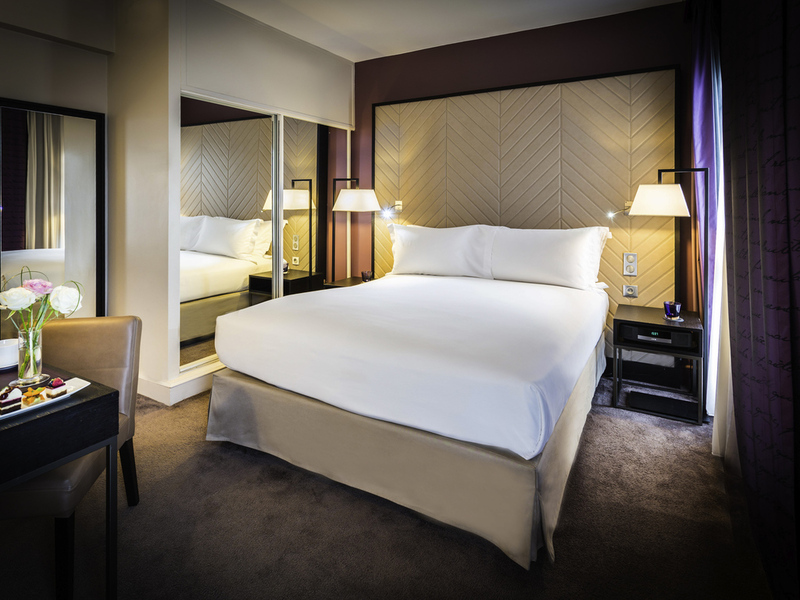 The 5-star Sofitel Strasbourg Grand Ile hotel welcomes you in the heart of Strasbourg's famous Grande Ile district, a UNESCO world heritage site. 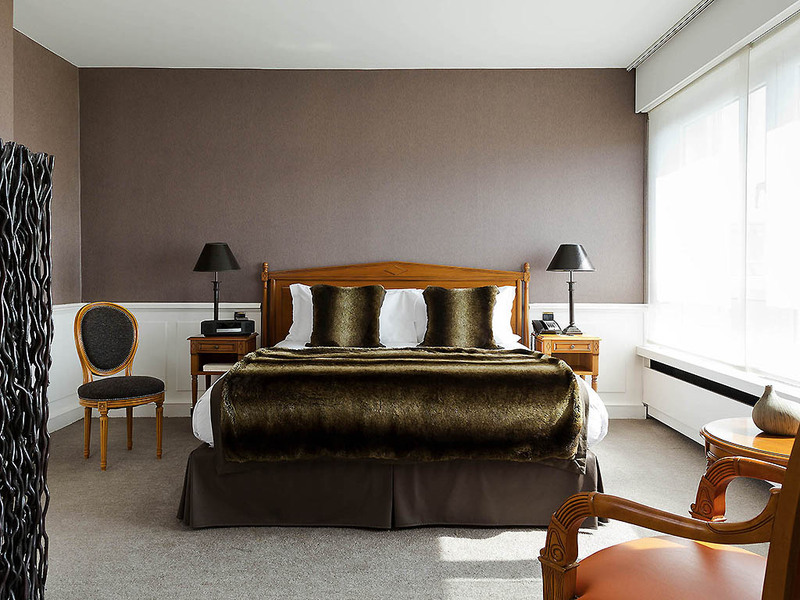 The hotel is a truly peaceful haven in the heart of the Alsatian capital with luxury boutiques, the Cathedral, the Ill River, Opera and the Petite France district at its doorstep. You will be charmed by the stylish decor: floral arrangements, polished woodwork, warm colors and objets d'art make this a warm and inviting lifestyle place. 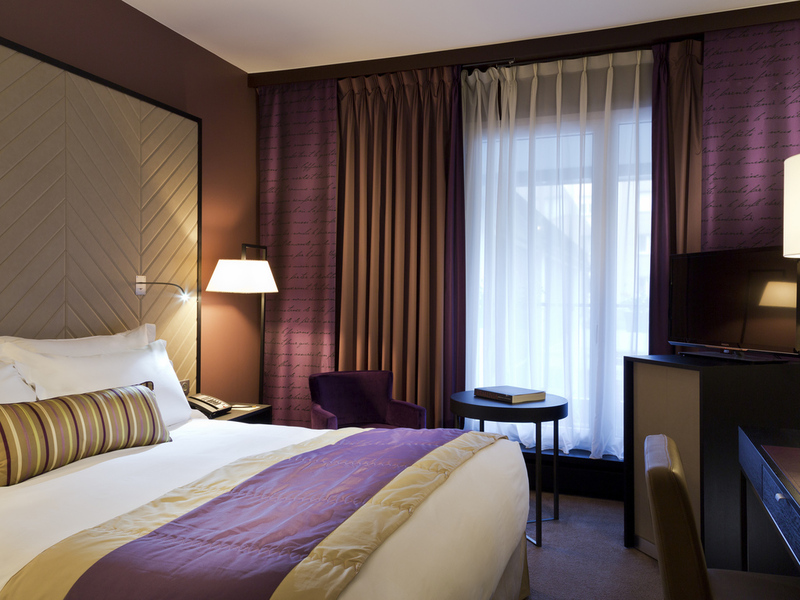 Each Sofitel is a unique blend of the French "art de vivre" and local refinement. 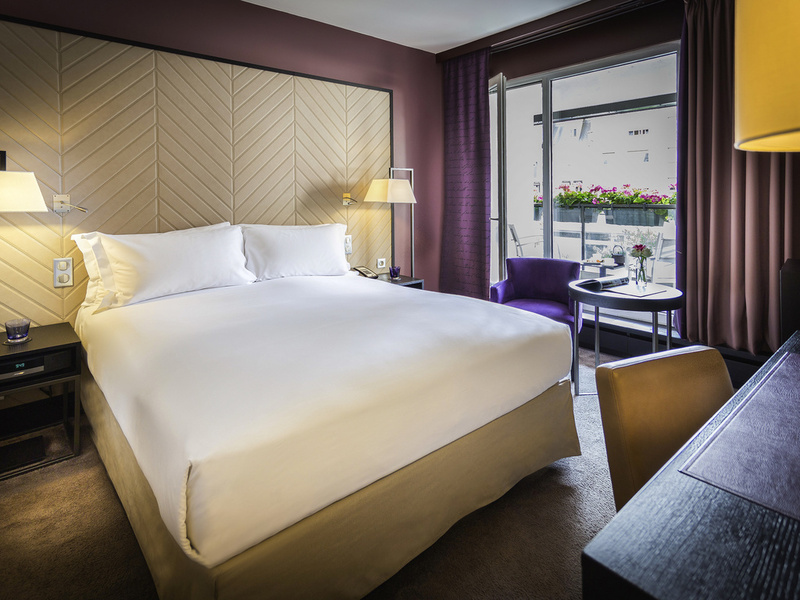 Sofitel Strasbourg Grande Île is a treasure trove of contemporary luxury in the heart of the city's medieval quarter - listed as a UNESCO World Heritage site. The lobby's pure lines and inviting sofas enchant all who enter. Discover the bar's retro design and a restaurant that opens onto a compact vineyard. 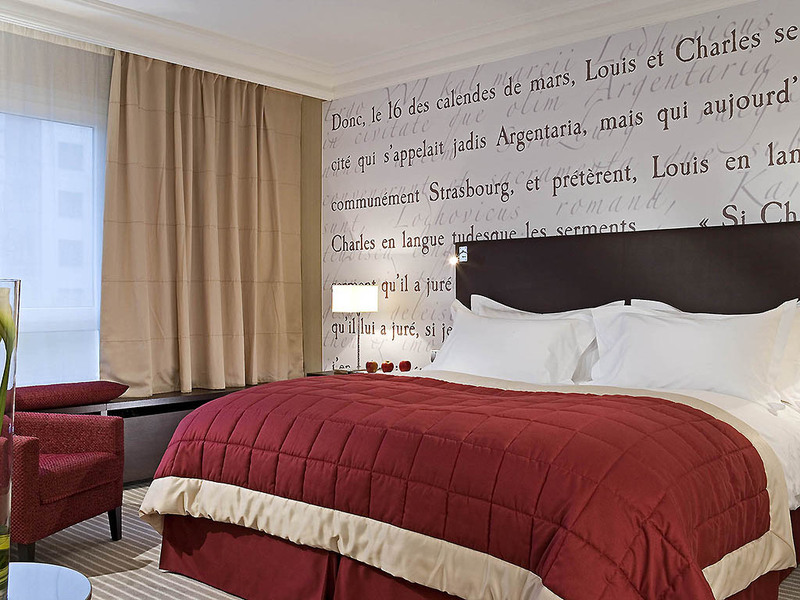 Charm and elegance go hand in hand here, a hotel between the River Ill and the Canal du Faux-Rempart. 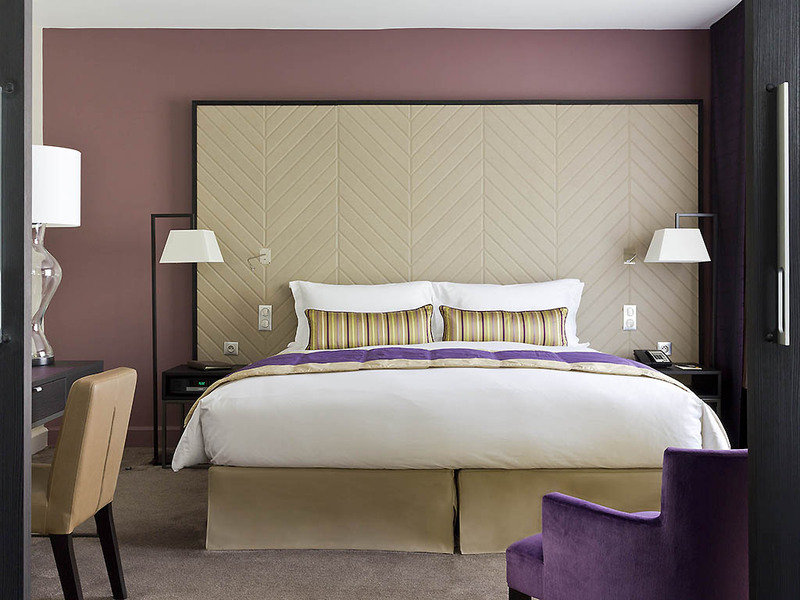 Admire the beauty of Strasbourg as you savor a meal at Terroir & Co. Then retire to your luxurious room or suite, where Hermès amenities, a well-stocked minibar and the Bose sound system work in concert to fill your senses. On the walls of your room are the writings of French and German authors - excerpts from literature. These words are an echo of a city passionate about art. 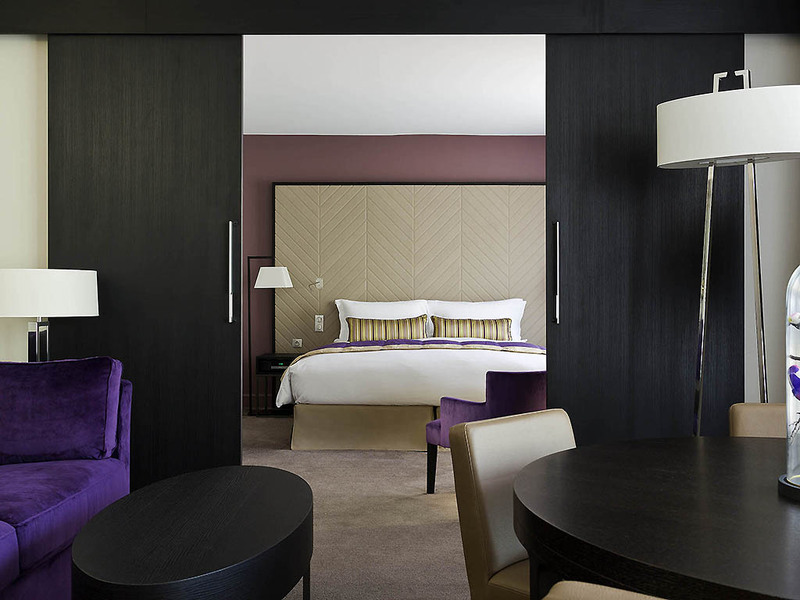 Your 5-star hotel pays homage to Strasbourg, a city at the crossroads of epochs and cultures. Coming from the motorway A35, take the exit of Place des Halles and follow the signs to Parking Opéra. Turn left at the traffic light on Boulevard du Président Poincaré, and right after the third one, still towards parking Opéra. You are on Boulevard Faubourg de Pierre. After crossing the bridge Pont de Pierre, on the Rue de la Nuée Bleue, on the second right the square Saint-Pierre-le-Jeune, where you will see the hotel. 17 m²/183 ft², contemporary decor. Sofitel MyBed, Bose player, coffee and tea making tray Dammann, workspace. Bathroom with toiletries Hermes, bathtub. Free WiFi. Non-communicating rooms. 20 m²/215 ft², contemporary decor. Sofitel MyBed, Bose player, coffee and tea making tray Dammann. Bathroom with toiletries Hermes, bathtub. Free WiFi. Non-communicating rooms. 24 m²/258 ft², contemporary decor. MyBed, Bose player, Nespresso machine, Dammann tea. Hermes toiletries, bathtub or shower. Free WiFi. Communicating rooms, baby cot or convertible heater (availability). 30 m²/323 ft², MyBed, convertible sofa (double bed). Bose Reader, Nespresso machine & Dammann tea. Bathroom with bathtub and/or shower, Hermes toiletries. Separate toilet. Free WiFi. Baby cot on request. 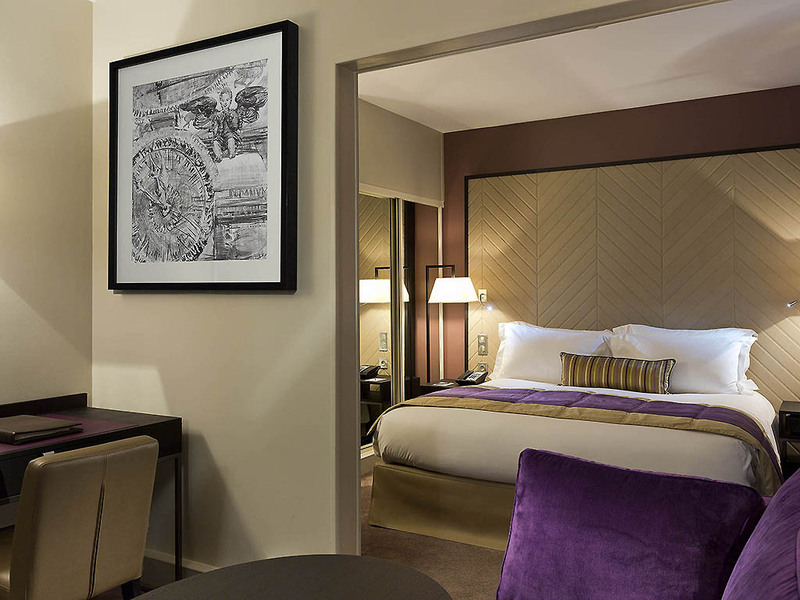 53 m²/570 ft², Sofitel MyBed and pull-out couch (double bed). Bose & DVD players, Nespresso machine & Dammann tea. Two bathrooms with Hermes toiletries. Free Wifi. Additional adjoining rooms on request. 82 m²/883 ft², Sofitel MyBed and pull-out couch (double bed). Bose & DVD players, Nespresso machine & Dammann tea. Three bathrooms with Hermes toiletries. Free Wifi. 97 m²/1,044 ft², Sofitel MyBed, sitting room, pull-out couch (2 single beds), closet. 47" LED TV, Bose & DVD players, Nespresso machine & Dammann tea. Bathroom with bath and Hermes toiletries. Free Wifi. 148 m²/1,593 ft², Sofitel MyBed, sitting room, pull-out sofa, 2 closets. 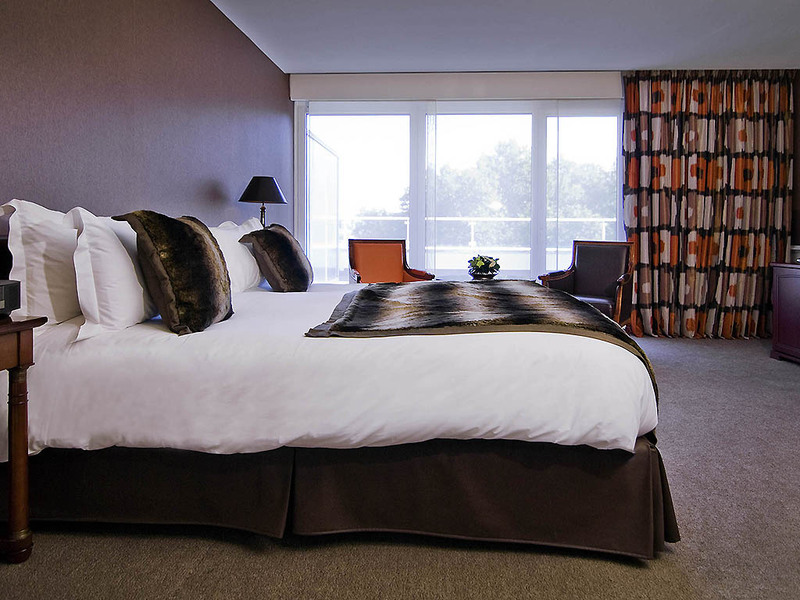 47" LED TV, Bose & DVD players, Nespresso machine & Dammann tea, 2 bathrooms with bath and/or shower, Hermes toiletries. Free Wifi. At Terroir & Co, Chef Sébastien Schmitt will immerse you in the heart of the Alsace region, combining his own expertise with that of artisans. A delicatessen and a selection of 51 Grand Cru wines will introduce you to the heritage and vineyards of Alsace. Le Link bar is ideal for an aperitif and offers a wide selection of carefully selected premium champagnes, cocktails and liquors. Elegant Baccarat flutes and fuchsia-toned armchairs recall the swing era. Each Sunday, indulge in an epicurean brunch while Princess Sofitélia enthralls the children. With views of grapevines or the church, a meal or beverage on the terrace is always a delight. Restaurant and grocer, Terroir & Co elevates local produce and offers 51 Grand Cru wines. Discover our chef's cuisine, which brings out the culinary heritage of the Alsace region. At Terroir & Co, with our teams, vineyard and delicatessen, you will discover the best that Alsace has to offer, including its 51 Grand Cru wines. Pass through the glass doors of this Strasbourg bar and discover Link's incredible retro chic atmosphere. Vibrant colors, freshly cut flowers and 1940s decor create a cozy environment in which to enjoy our bartender's cocktail creations. Private car park with valet service, transfers, boat trips on the river Ill and advice on Strasbourg's best shops and attractions. Speak to our Clefs d'Or concierges to make your stay one of your most memorable. Come and discover a modern city with a rich historic heritage. See the majestic sights such as Strasbourg Cathedral, the chic Carré d'Or district and many other architectural and cultural surprises. From 6:30am to 10pm, take advantage of the view of Saint Pierre le Jeune church from our fitness room. Give your body a break in lush green surroundings and relax in the fresh air.